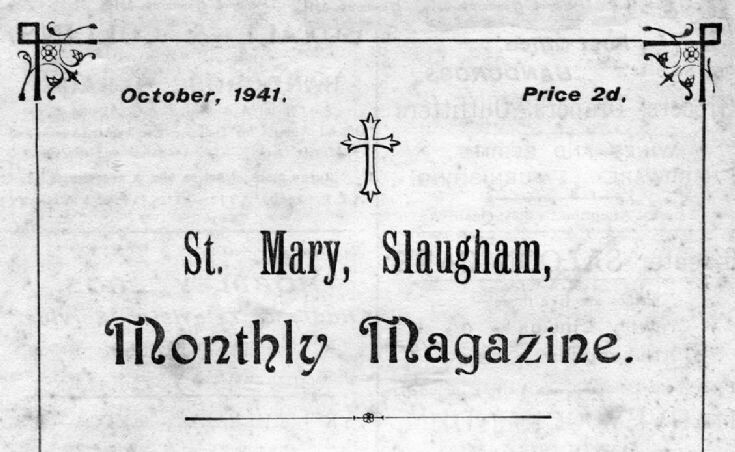 The parish magazine for St Mary’s, Slaugham has survived in the family as, within the lists of baptisms, marriages and burials, it announced the wedding on 1st September 1941 of my parents, George Hood and Betty Field, daughter of Harry and Mabel Field. During WWII the magazine regularly included updated lists of those serving in the armed forces, together with the ever-growing list of those who lost their lives. As at October 1941 there were 189 serving in the forces and 5 on the Roll of Honour. Select Open Document to view the October 1941 magazine, excluding the Diocesan insert. Among the many advertisements I particularly enjoyed that of Mr William Warden Walder promoting his services. But why did he not add that he was also the village wheelwright and an accomplished woodworker?